Blair-Sanne Knoedler This song gets stuck in my head all the time now. "The Jabberwock never bothered anyone, but nobody believes him to this day... And why should they?" Charlie Can't hear this track enough! So much thoughtful lyricism, expressed in a the most delightful, light hearted way. 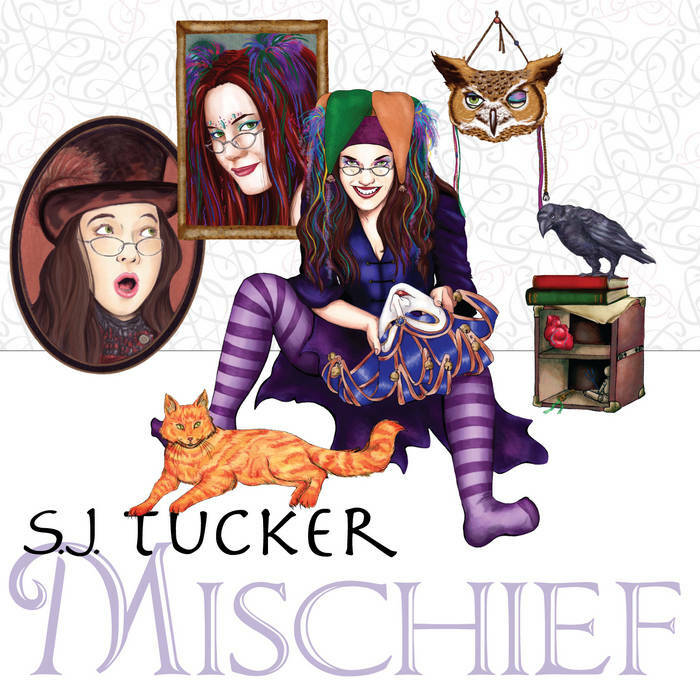 A true classic and SJ Tucker has quickly become one of my favourite singer/songwriters. Will definitely buy the rest of the album ASAP. For an immediate download of Cheshire Kitten (We're all mad here) in your choice of 320k mp3, FLAC, or just about any other format you could possibly desire. This individual track is available for free download (just put $0.00 for the price), but you can pay what you like in order to financially support S.J. Tucker. As an independent artist, all net proceeds (about 80%) from bandcamp downloads and merchandise sales from this site go directly to her. Thank you for your support and generosity. Includes unlimited streaming of Mischief via the free Bandcamp app, plus high-quality download in MP3, FLAC and more. tied down to the ground. hard and fast shines the grin that we flash, but there's a vulnerable stripe or two on me. is not for me, my friend. until you learn your lesson well. Is it the stripes or the spots you see? Was it hearts or diamonds, baby, led you here to me? Darling, you know better than to trust a pack of cards! the world is never as mad as it could be.